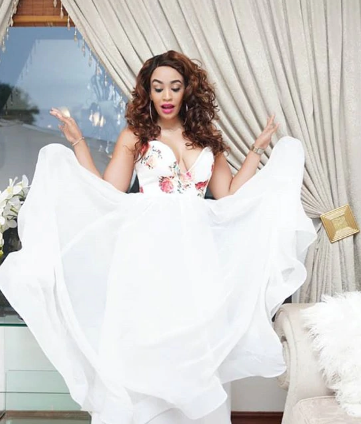 Ugandan socialite and business woman Zari Hassan has left many surprised with her father’s day message. Zari surprised many of her fans with her Instagram post that had the mother of five wishing herself and her late ex-husband Ivan Don Ssemwanga a happy father’s day, leaving out her Tanzanian singer baby daddy Diamond Platnumz. In the post, the boss lady said that despite Don’s absence, he is still with them in all possible ways and they miss him. “Happy father’s day to me and the late Don..... Gone but you still here for us in all possible ways. We miss you! ” read Zari’s post. .. so had to Fix Everything in here before am Gone.....But am Working on your American Visas so that you all can come atleast for a week to Enjoy America, While Papaa is killing#ABoyFromTandaleUSATour » Stages!!!.... Papaa Loves to Death @princess_tiffah »@princenillan »,” said Diamond. Zari and Diamond recently reconciled their differences and agreed to co-parent.